Is Sesame Oil Comedogenic? 7 Reasons to Use it! Do you use sesame oil for your skin? If not, you are dead wrong, as you are missing a lot, depriving your skin of a natural treasure! If you have any doubts about this, read here about the numerous properties of sesame oil. In a moment, I will highlight the most critical sesame oil benefits for you, but today we will delve into a topic, which explains how sesame oil reacts with your skin. 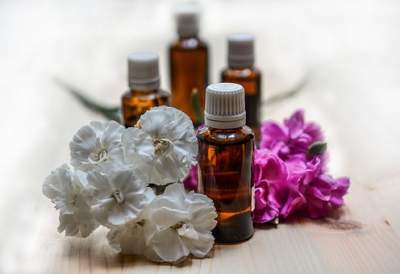 You will learn the answer to an essential question: is sesame oil comedogenic, and how this fact will determine your usage of sesame oil for massage, and other purposes? Why should you use sesame oil? 1. It is a vegetable oil, derived from sesame seeds, and used from ancient times. Just think about it – would it be so prevalent throughout the ages, if it wasn’t precious? 2. It is full of fatty acids (like oleic and linoleic acid). Your body needs them, to survive. They oppose free radicals, and have anti-aging properties. 3. It is rich in minerals (like copper, calcium, and magnesium). Thus your bones remain healthy, and you help yourself avoiding osteoporosis. 4. Vitamines (like vitamins E and K) are part of its formula, as well. Did you know, that you need vitamin E which helps your blood get clogged? 5. It detoxifies the skin, holding the moisture within the skin cells, and is a natural sunscreen, keeping the UV sunlight away. 6. It is suitable for skin wounds, cuts, and cracked heels. 7. It is one of a kind massage oil, perfect for aromatherapy. You can apply sesame oil only, or even better, blend it with other carrier and essential oils. Such blends decrease the stress and pressure, refresh and strengthen the body, rejuvenate you, calm your emotions down, make you feel better! All these oils are absorbed through your skin and cause positive physiological changes. Just imagine – you are tired, in a bad mood, and upset. Instead of drinking headache pills, or worrying about negative thoughts, you (and your partner), are doing a great massage, that tames the negative talk in your mind! And sesame oil plays a central role there. a small bump or blemish on the skin (as of the face or back) usually containing a plug of sebum in a skin pore: such as open comedo (blackhead) or closed comedo (whitehead). 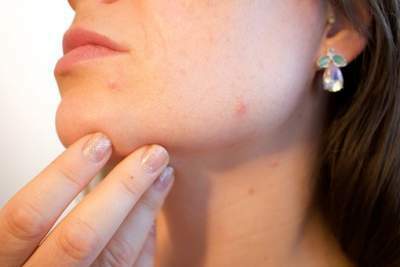 These comedos, or pimples, are caused by clogged pores. The pores are those tiny holes in our skin. Sometimes we can see them scrutinizing our skin. What’s the role of pores? They are the home of the hair follicles. When the body produces more sebum than needed, combined with the dead cells on the skin surface, it can clog the pores. Here comes the question, whether some carrier oils can facilitate the process of clogging pores? What about sesame oil? To clarify that matter, the skin experts have created a so-called comedogenic index. What is the comedogenic index of sesame oil? Sesame oil is indexed as moderately low comedogenic. It is in one group with oils, like avocado oil, grape seed oil, and olive oil. All they are proven and amazing “allies” of your skin. Index 2 means, that sesame oil is with low ability and tendency to clog your pores. Sesame oil has another beautiful property: the skin very well absorbs it. The result? You don’t feel you are greasy, which is another thumbs up for using it as a massage oil. Use sesame oil with pleasure, irrespective if you treat acne, cracked feet, skin burn, protect your self from the sun, or give yourself, and your partner a massage. It is in right relationship with your skin, and you should not worry about its comedogenicity level. Mixed with other oils, and compounds, it will bring you to the next level of experience. You can find on the market proven natural cosmetic formulas, including sesame oil. Your next step? Search and test products, which work well for your skin. Now you are familiar with one more instrument to treat yourself in the best possible way! I would love to hear from you! Do you (plan to) use sesame oil? Leave me a message, and I will answer you! Can you provide a little bit more detail about how well it serves as a sunscreen? I’ve read recently that a lot of sunscreens are toxic and can cause skin damage and lead to cancer (no idea how true it is), but I’ve been looking for a natural remedy. Would sesame oil be similar to a 10 SPF or something higher? Sesame oil itself cannot beat all these synthetic-based sunscreens, and they are stronger for sure. But what you can do it so use natural-based sunscreens, which are tested and have proven SPF, pointed in the label. They include a lot of natural compounds, which are not toxic, at the same time protect your skin from the sun. Had no idea sesame oil actually detoxes the skin. Would suggest sesame oil for both men and women? Yes, sesame oil detoxifying properties are unusual! Don’t miss it! Sesame oil works perfectly for both men and women. This is really interesting, I’d never considered using sesame oil on my skin but your article is very informative and has given me a lot to think about, thanks for posting. Thank you for your comment! I am happy I gave you food for thought concerning sesame oil, and I hope from now on you will start using it for your skin! Hi Valeria – Thanks for providing this information. I have never considered sesame oil as something to put on my body instead of just in it. I’ll have to look into using this on my eczema prone skin! Sesam oils seem to be a miracle cure for the skin. In your previous post, you shared great recipes of masks containing sesame oil and I learned about the great benefits of this oil. Until then I really hadn´t thought of using sesame oil for anything else but adding it for salad dressings or cooking. With this post, you have added more interesting details. Can I buy the oil from the grocery store or are there special sesame oils in cosmetic stores or pharmacies which I should choose for the skin? Always enjoy reading your engaging posts! Yes, there might be nuances between sesame oil produced for cosmetic purposes, and for cooking. There are types, like dark sesame oil, light sesame oil, cold-pressed sesame oil, organic sesame oil, or even chili sesame oil. When you buy it from a physical store, depending on what you need, you may need to choose between a grocery store or a cosmetic store. It is the same with buying sesame oil from e-commerce stores or marketplaces, like Amazon, and eBay. All you have to do is to select the appropriate department (whether Food, or Beauty), and to read the product instructions, to see the application scope of the sesame oil. Thanks a lot, Valeria, for your helpful answer. There are indeed, many different kinds of sesame oils. You have presented many, many other kinds of healthy oils here at your site. What I like about sesame oil is that you say it doesn’t make you feel greasy.